A high-speed chase through Raymond ends in a three-vehicle crash, with five people with injuries. 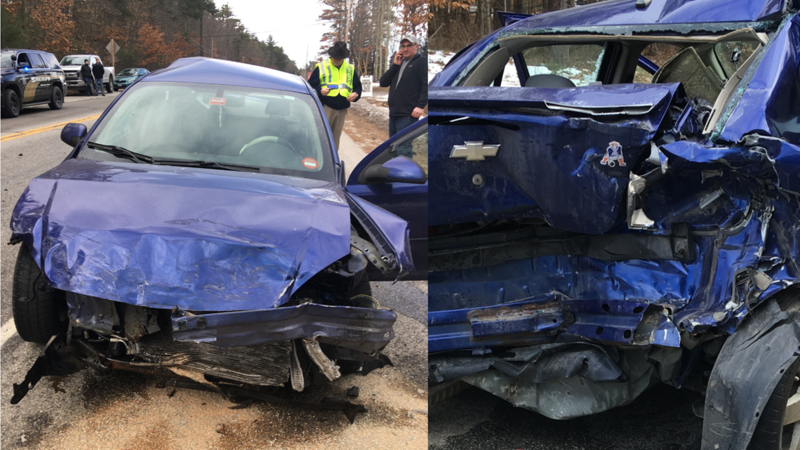 RAYMOND, Maine — The man who sent four people to the hospital after leading police on high-speed chase through Raymond over the weekend, appeared in court with a black eye and bandage Monday. 29-year-old Dale Tucker appeared in Cumberland County Superior Court and pleaded not guilty to the many charges he faces including domestic violence and driving to endanger. 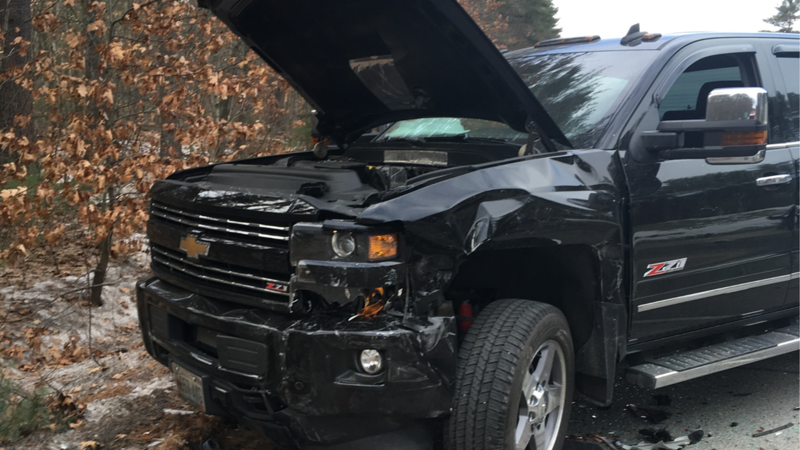 Five people including Tucker ended up in the hospital after the Casco man led police on a high-speed chase and crashed into two other vehicles. Cumberland County Sheriff's Office says Tucker was pulled over by one of its deputies after making threats to people at a home in Windham on Sunday, Dec. 16. When an officer approached Tucker's car, he sped off. 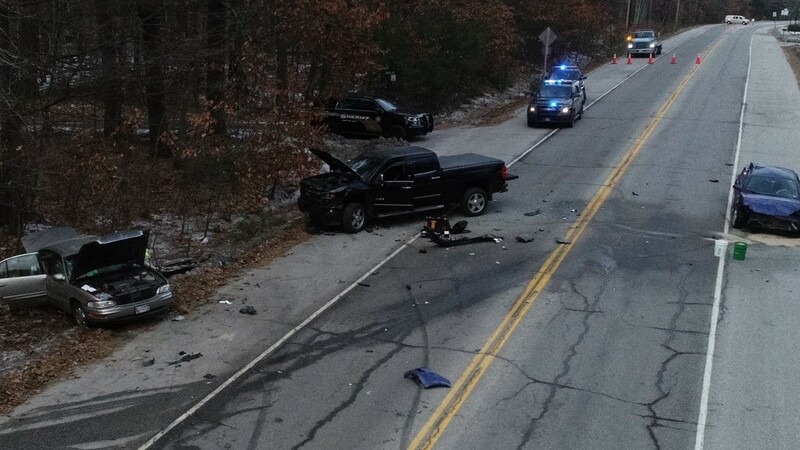 Deputies set up a spike mat on Route 302 at the Raymond-Windham line. According to police, Tucker tried to avoid the spikes mat but lost control of his car and crashed into a car and a truck which were both parked on the opposite side of the road. "In this case the speeds got very high in a congested area (during) a busy time of day so the deputies made the correct decision and that was to stop the pursuit," Patrol Captain Scott Stewart said after some questioned why deputies would use a spike mat in close proximity of other cars. Stewart Tucker lost control because he tried to avoid the spike mat. "The spike mat didn't cause the accident, him trying to avoid the spike mat is what happened." 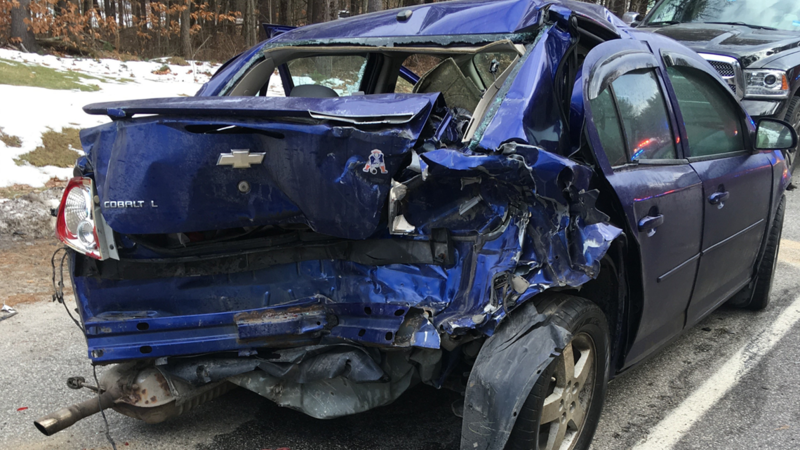 Barbara Young, 82, Elmer Young, 91, Douglas Young, 60, Tyler Bisson, 28, and Tucker were all taken to Maine Medical Center with serious but non-life threatening injuries, according to the Cumberland County Sheriff's Office. As of Monday afternoon, Elmer Young was still in critical condition and Barbara Young was in fair condition. Tucker drove a 2007 Chevy when he led authorities on a high speed chase. Tyler Bisson, 28, of Raymond was in this pickup pulled off to the side of the road when he was hit by Tucker's car. 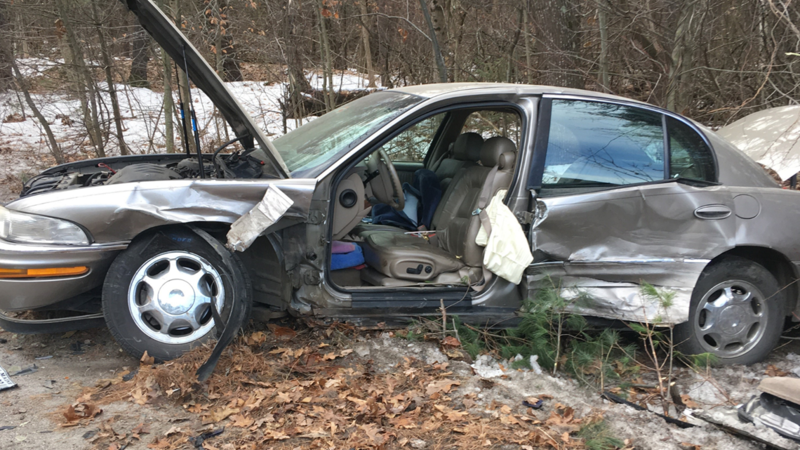 Three people that were in this Buick were taken to Maine Medical Center. Police asked them to pull-over to during the high-speed chase. Deputies had told drivers to pull off the roadway during the high-speed chase. Tucker faces several charges including criminal speeding, eluding law enforcement and aggravated driving to endanger. The court set Tucker's bail at $25,000 cash. Tucker has one prior domestic violence conviction from 2014.